Our goal is to create a better world - through quality product offerings, enduring partnerships and generous collaborations. By working together with like-minded groups and individuals, we can foster the health of our communities for generations to come. By doing so, we do not only meet the goals of our mission but transform our spirits as well. That is why it is important for us to give back through scholarships, donations, participation in communities that advance our industry, and to share our knowledge via educational resources. Nuherbs® Resources provide relevant and timely information about Chinese herbs, Chinese herbal formulas, regulatory developments and a variety of business tips for practitioners and manufacturers. Wilson Lau at the Traditional Chinese Medicine ISO in Shanghai China. To nurture new generations of TCM and acupuncture practitioners, we provide three annual tuition scholarships to students enrolled in participating acupuncture schools. To learn more about these scholarships for acupuncture students, visit our scholarship page. Read a selection of essays from past years’ winners: 2017. At Nuherbs®, we are working to build a world where herbal traditions are seamlessly woven into the modern lifestyle for greater health and happiness. We believe an important part of our role as stewards is engagement with policy-makers in our industry. We provide resources, participate in industry trade associations at the board level, deliver presentations to groups, lead by example in quality and sustainability initiatives, and engage in healthy discussions on industry issues and regulations. 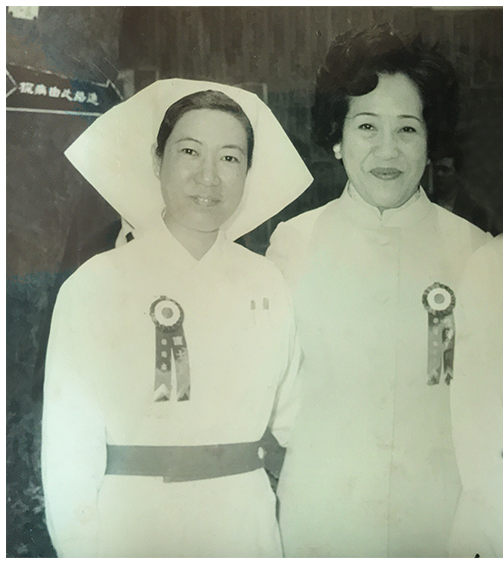 Dr. Bing Yin Lee (right) raising funds for Hong Kong Pok Oi Hospital. Nuherbs® contributes to noble causes related to Traditional Chinese Medicine. Through our donations of supplies, books, money, legal expertise, and sharing our family's vaults of knowledge, we are able to help those in need throughout the United States and around the world. If your non-profit organization focuses on empowerment through TCM or herbs, please let us know how we can help by emailing us at donations@nuherbs.com.